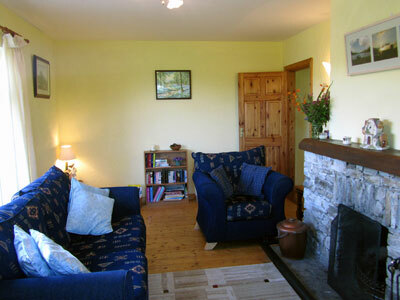 Bright, cosy and spacious, the semi-detached and 2-storyed Laurel Lodge is the perfect holiday cottage for your group to relax after a day’s hill walking in the mountains of Ireland’s west, or as your base for exploring the music and pubs of Letterfrack on foot. 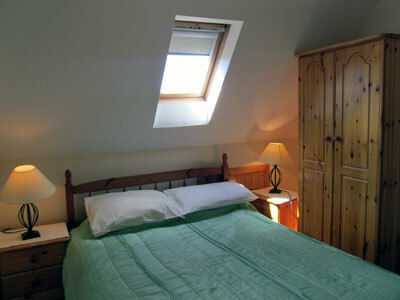 Upstairs features a double en-suite bedroom with an electric instant-heat shower, as well as a second bedroom fitted with twin beds. 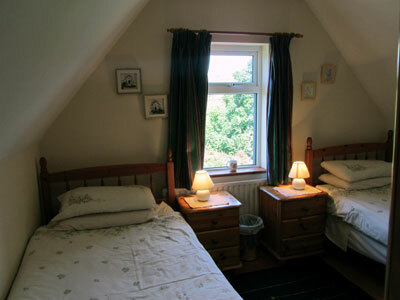 Downstairs includes a twin bedroom with built-in wardrobe and dressing table, a bathroom with a full-size bath and overhead shower, a utility room with washing machine and tumble dryer, kitchen plus dinette, and a large and airy living room. 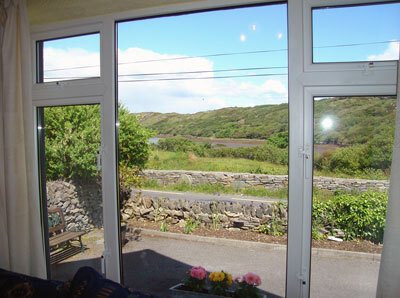 The kitchen overlooks the vast back garden and foothills of the Connemara National Park. 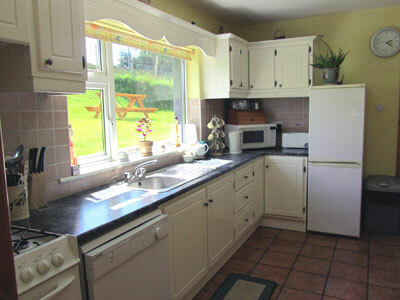 Besides all your self-catering cooking and eating utensils, the kitchen includes a fridge & freezer, microwave, cooker, oven, automatic dishwasher, cd player and radio, as well as a dinette table. 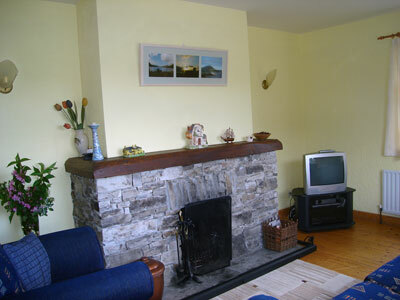 A massive open fireplace, wooden floors, and incredible views over Bearnaderg Bay and Tully Mountain make the spacious living room a natural meeting place for recounting the day’s adventures or to enjoy a calm and soothing timeout to replenish your energy. 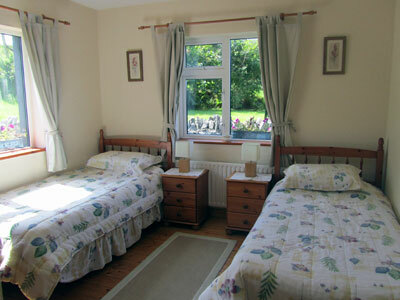 Rates include oil-fired central heating as well as linen (duvets) and towels. Electricity is metered through a €2 coin meter. 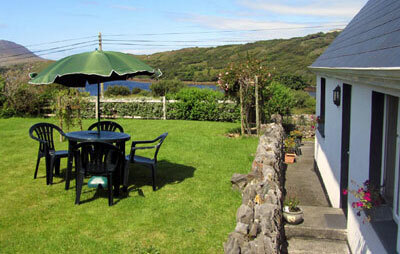 Other Connemara Self Catering facilities include satellite TV, on-site parking, free WiFi wireless internet access, hairdryer, travel cot and highchair (on request), children’s games, books, a large shared garden with furniture, spring well water, and a Welcome Pack of self-catering basics on your arrival. Baby sitting can be arranged and we welcome 1 well-trained dog per group. 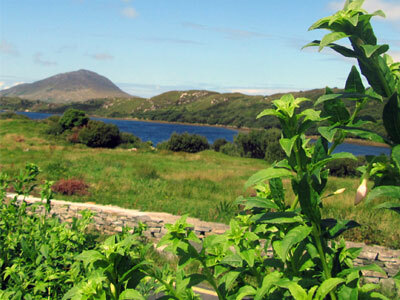 We look forward to welcoming you to west Connemara and to our home!